The Veterans Day Celebration at Tower Elementary is Tower’s premier event to honor our Veterans. 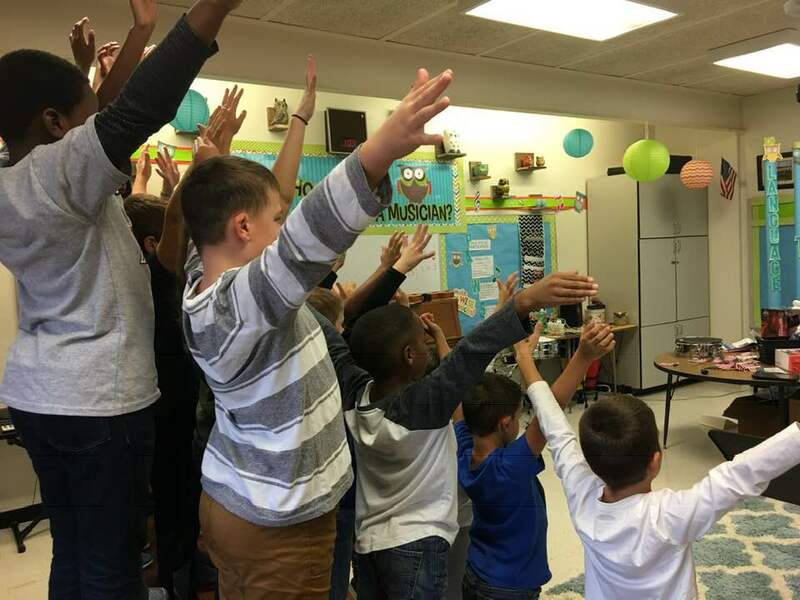 Students PK4-5th grade will be presenting “Land of the Free because of the Brave” on Friday, November 9 at 2pm. The songs are just now being completed, the soloists for the Star Spangled Banner have been selected, decorations are being made, and students will be auditioning for MC. 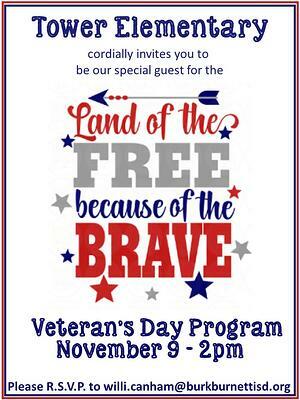 Following the program, the Tower PTO will be hosting a reception for Veteran’s where Thank You Cards created by the 2nd grade will be given to each Veteran. Students are also decorating stars for the Veteran in their life. Each branch of the military will be recognized as well as our NATO Allies. Over 50% of Tower students come from military families and as such honoring our Veteran’s is the highlight of our year!